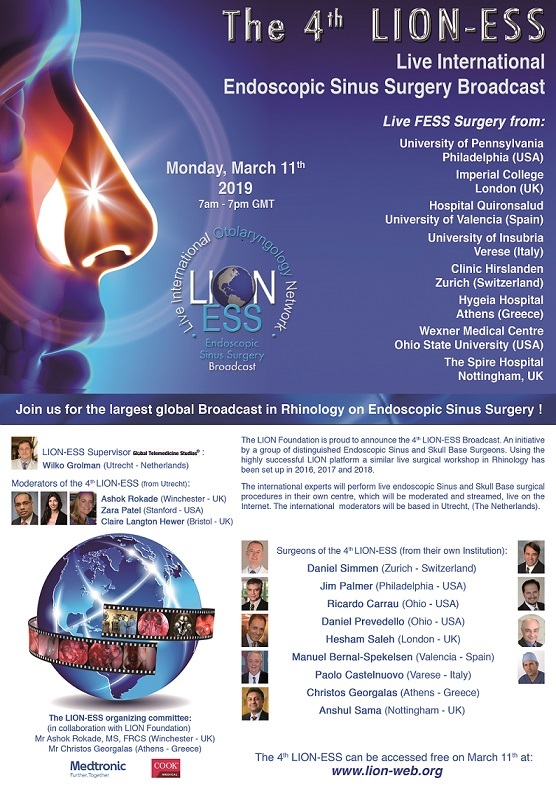 On March 11 th 2019 we will be broadcasting over the internet the 4th Live International Endoscopic Sinus Surgery Broadcast. More news will follow soon on this website and on the LION Facebook page. Alternatively, you can watch the surgery through our live youtube channel click here!.